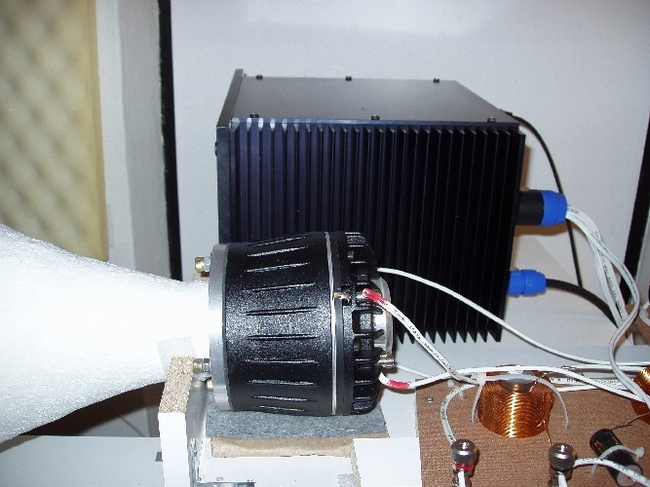 each to about 320Hz and two 2" coax BMS 4592 ND driven horn takes care of the signals above 320Hz. 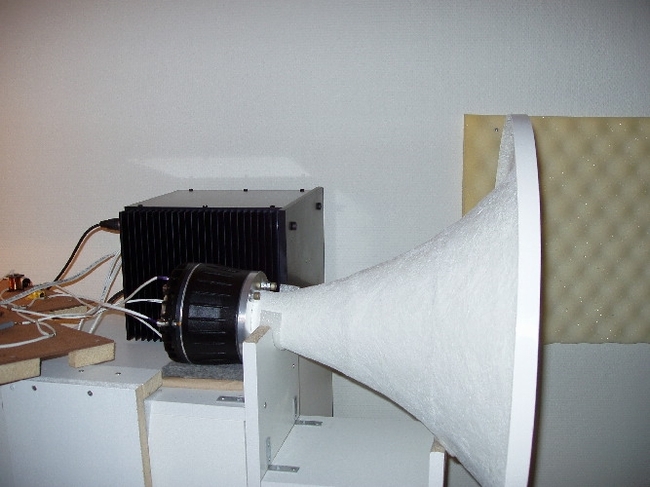 I have been fooling around with DIY horn speakers for some time now. Being somewhat tired of making endless and time consuming changes of analog crossovers (active as well as passive), I have been looking for a digital crossover for quite some time. Several digital crossovers are available for sure, but unfortunately most of them are simply beyond my financial means. Then I got a chance to pursue a pair of ready-made 'Small Gallery3' protoypes from GroundSound for about the price of a good quality power amp, and I couldn't resist! Each 'block' consists of the DCN23 digital filter, power supply, and three mono power amps (2 x PA3CC, and 1 x PA1CC). Initially, I experienced some low-frequent humm from the 'blocks'. Discussing the problem with Robert, who was very helpful, it turned out that the voltage in my house occationally went below standards, and that this caused the noise problems. Robert then kindly modified the power supply to make it immune towards the low voltage I occationally experience. 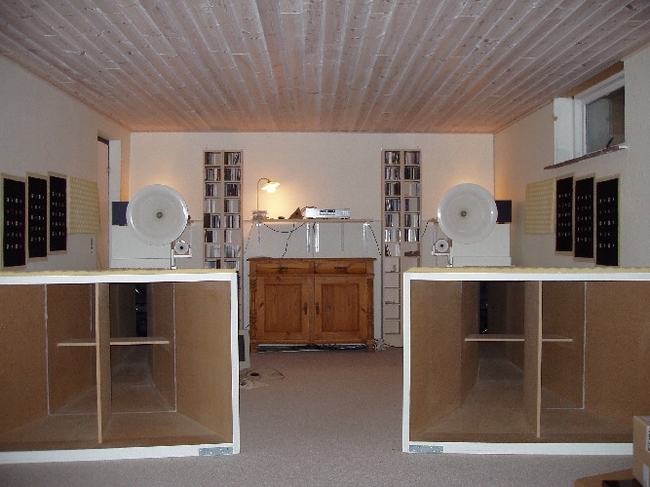 After the mod the 'blocks' are VERY silent considering that the sensitivity of the speakers is +110 dB/1 watt(!) The low frequent humm is totally gone now, and even with my ear right next to the tweeter, I can only hear a slight hiss. How does it sound then? Well, since I have changed crossovers as well as amps I cannot make a direct A/B comparison, but I can say that I do not miss any of my previous amps! I have recently had several Class D amps: LCAudio ZapPulse 2.2SE, TacT SDA2175, and Ice powered eAR Two/Enigma. Of these the last two were clearly better than the ZapPulse amp, but I believe that the GroundSound amps are as good as any of these. Although the TacT and especially the eAR amps sounded very well, there was in both cases a slight tendency to pronounce the upper midrange to some extent, but this is gone now with the GroundSound amps. The sound is still clear and clean with a nice sense of 'presence'. Human voices which are notoriously difficult sound very articulate and natural with these amps. We have had some problems of the small Hahn PCB transformers, which have been used on all of our power supplies for DCN23. We started out using a 2 x 7,5V transformer which performed as supposed to. But in later series of this transformer - it didn't perform as it should due to higher losses within the transformer itself. To get the current the DCN23 needs we replaced the 2 x 7,5V with 2 x 6V (same size and VA) and all worked well - we thought, but at lower mains voltages there isn't enough to regulated on with the standard capacitor for the 7,5V transformer, so now we recommend replacing the 1000uF with 2200uF on the Vcc supply or on all of the supplies. This ensures operation down to about 215Vac. We tried all these fixes on Peter's amps without success - because his mains voltage got even lower. He have measured as low as 204Vac and a special supply arrangement was need and made.